Every artist has a story to tell. Some tell it through vague symbolism. Others let you take away your own meaning. But when TEAM missionary Kennedy Paizs sits down at his easel, he makes no attempts at subtlety. 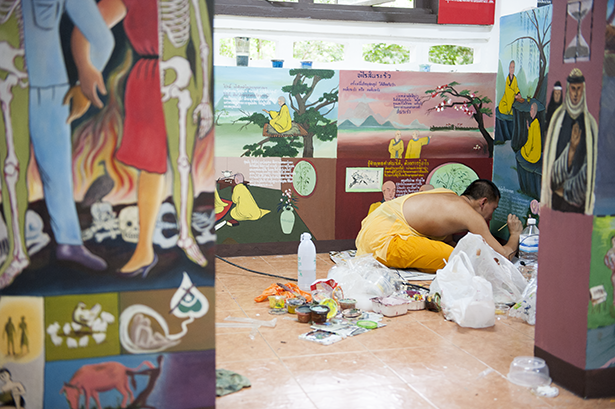 He creates art to lead Thai Buddhists to Christ. On any given day, you might find Kennedy painting Bible stories, co-hosting an art show or telling Bible stories while volunteers paint illustrations. One teenage girl, Lawan*, took art and music lessons at a Christian community center where Kennedy taught. 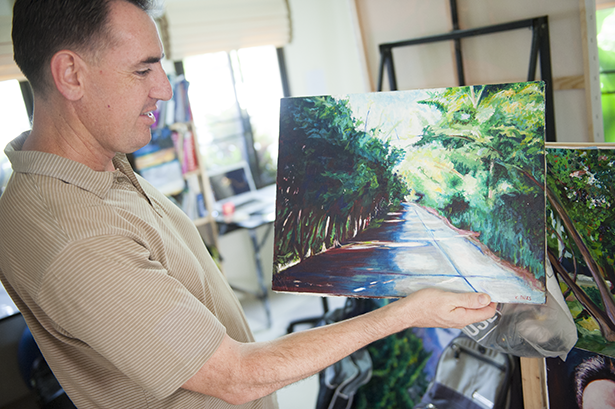 On the weekends, Lawan visited the open market where Kennedy was painting scenes from the Gospel of John. “She would show up … and watch me paint and ask me questions about what it meant,” Kennedy says. These conversations built on talks with her Christian music teacher. Then she started attending a Bible study with Kennedy’s family. Then, Lawan decided to put her faith in Christ. But over the years, Kennedy realized few people were making that effort for artists. “I would do portrait paintings of tribal people and got to thinking about Thai Buddhist artists and [wondering] who was working with them. … So I started to seek them out and do art with them and try to be intentional about Christ,” Kennedy says. Sometimes, painting with artists in the park will lead to one-on-one painting sessions. Other times, Kennedy takes lessons or attends art shows by Buddhist artists. As the relationships build, Kennedy gets to share about Jesus. Kennedy has yet to lead one of these artists to Christ, but patience is key in a country like Thailand. The good news is, more and more Thai believers are taking on the effort to reach their nation. When Kennedy hosts an art show, believers come to start conversations with nonbelievers. At parks and universities, volunteers paint predetermined illustrations while Kennedy tells Bible stories. 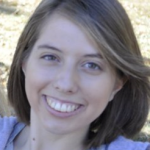 And soon, Kennedy and a local believer hope to form a network of Christian artists. “We get excited thinking of the potential of Christian artists having a vision to reach out to Thai artists who are lost,” Kennedy says. But Kennedy’s art ministry hasn’t only opened the door for more art ministry. In recent years, Kennedy has trained Thai believers in a question and answer method of storytelling. The result has been people coming to Christ — and new ministries being formed. This Gospel work won’t be easy, but Kennedy believes Christians have a great opportunity in front of them. Want to learn more about creative arts ministry? Discover over 60 opportunities to share the Gospel with the lost through visual arts, music and more. Start exploring here.